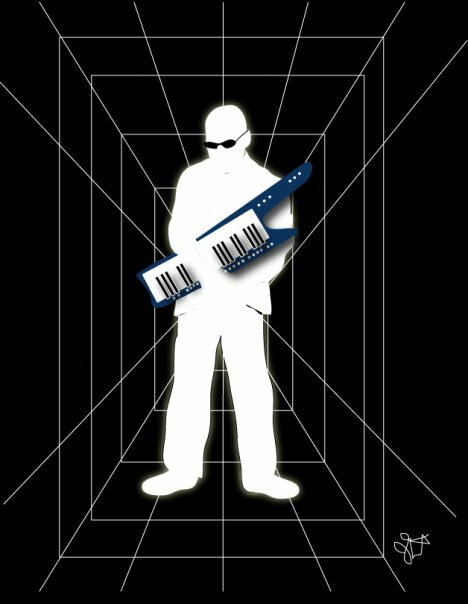 Keytarjeff, is considered a “Master” of the instrument known as a “Keytar” by such prestigious U.S. publications as KEYBOARD magazine and some of Americas most respected musicians including Jordan Rudess (Dream Theater) & Robert “Bobbie” Martin (Frank Zappa) . Keytarjeff’s current projects include being the lead voice for an original Jazz, Rock, & Blues musical being recorded and produced in Australia called “Wish” & writing and recording with Marvin Gaye/ George Michael drummer Doni Hagan. Keytarjeff is also a respected product specialist (Clinician) For music manufacturers as well as spokesman for MusicLabs RealGuitar products. Keytarjeff’s Youtube videos have a combined total of over 1.5 million views with an astounding 97.5 approval rating including a #1 Youtube video. © Copyright 2016. KeytarJeff, all rights reserved.